Volunteering with Habitat is a rewarding, fun, hands-on opportunity for individuals and groups to make a difference and build skills, relationships and community. No experience is required! New volunteers will be coached by experienced volunteers and staff. The SCHFH ReStore helps to support the mission of Habitat for Humanity in Henry, Clayton and Fayette counties by selling donated building materials and home furnishings to fund our homeownership program. ReStore volunteers support the vision of safe, decent and affordable housing for families in our neighborhood and around the world. Join us for a fun day of greeting customers, donation intake, cleaning, and merchandising! 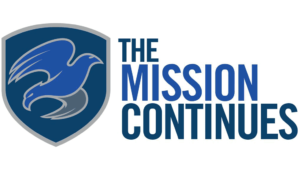 We’re seeking a veteran to join our construction team through a Mission Continues Fellowship for the Alpha Class (January 2018-July 2018) as a carpenter. Must be able to work 8am-4pm on Tuesdays and Thursdays and 8am-12pm on Saturdays for a duration of 6 months. Please click here to learn more about this special opportunity! We are always looking for groups that would like to volunteer on a work site. Please complete the volunteer interest form and we will follow up immediately or contact Development (development@schabitat.org) or 770.477.2367. If you want a flexible schedule based on your availability, this volunteer position is a great fit! As a Flex Regular, you sign up for as many days as you are able via our online scheduling system. We just ask that you sign up for a minimum of one day per month for a minimum of 12 months. Check out the current volunteer opportunities that are available. Are you connected with an existing group that can volunteer on-site together consistently? We welcome new Regular Crews! New Regular Crews can work one day per week to one day per month; most crews volunteer year round and some crews volunteer from September – May. In addition to providing 9-12 group members, we ask that new Regular Crews also provide a consistent Crew Leader who has some experience in construction and group management. Volunteer in our retail store located in McDonough. We need help with customer service, receiving, stocking, and assisting with pickups. To sign up now for upcoming shifts, click here. Time requirement: is one four hour shift a week for at least six months. Volunteers in our office complete projects like data entry, filing or large mailings. Complete the Volunteer Interest Form and we will add your name and email to our list, and you will be contacted when we need volunteers. Time requirement: is on-call; weekday business hour availability required. Get involved with a short term project like a fundraising event or a special project like planning and implementing our Women Build. We also have opportunities for people to utilize special skills like marketing, writing, videography, architecture and more. From time to time we need help on some of our standing committees (Finance, Development, Family Selection, Family Support, and Construction). Time Requirement: is determined by project; Usually once a month for 12 months.